Often, a developer will want to pregenerate a character, and place that pregenerated character into the scene. This is a simple procedure in DCS once you have the basics. 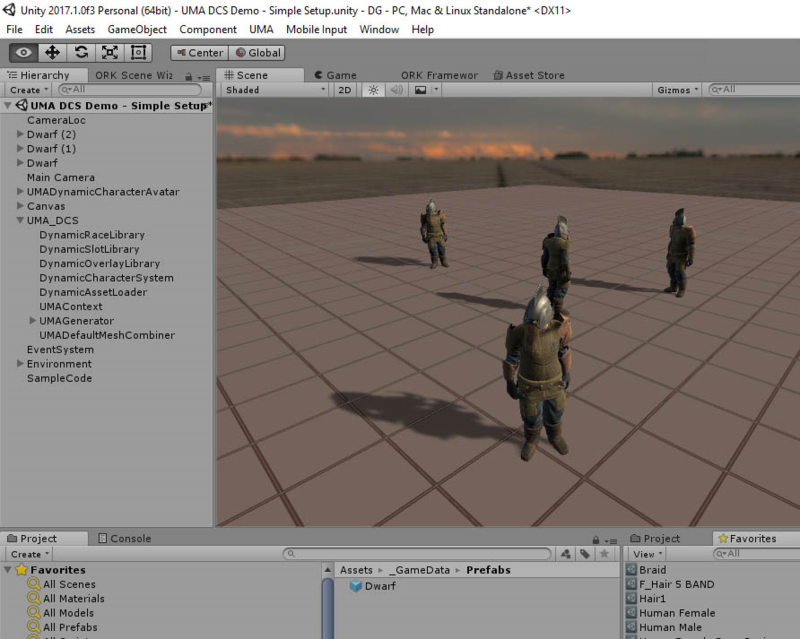 Please note that this creates a customizable UMA that is generated at runtime. If you want a compact, unmodifiable prefab that is pregenerated, you'll need to use the power tools. First step is to create a place to store your character definitions. Characters are stored as recipes. For ease of use, we will store these definitions in resources. Create a Resources folder if you do not already have one. STOP playback of the scene. The prefab must be created while not in playback mode. 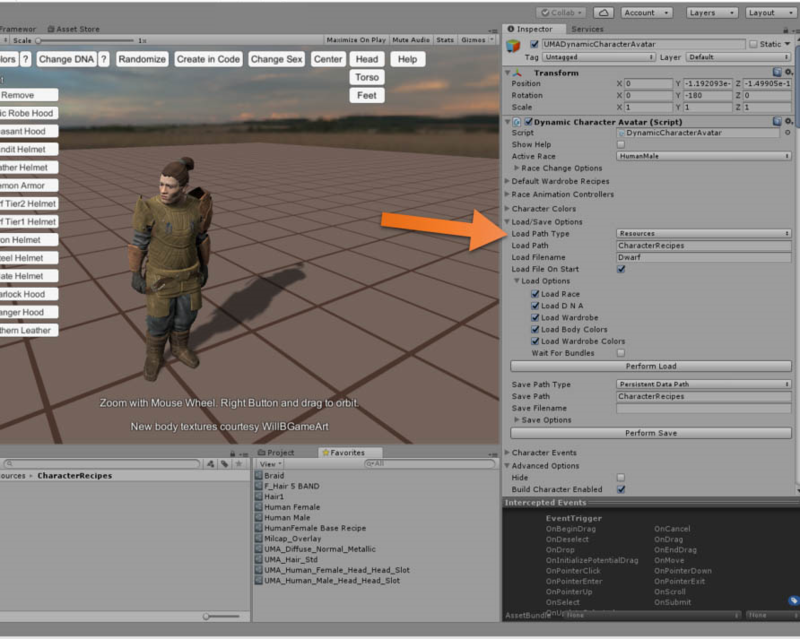 Open the “Load/Save” options on the UMADynamicCharacterAvater in the scene (the one you just modified). Set the “Load Path” to CharacterRecipes (or the folder name for recipes you created above). Set the “Load Path Type” to Resources. Set the “Load Filename” to the name of the character we saved (in this case, “Dwarf”). 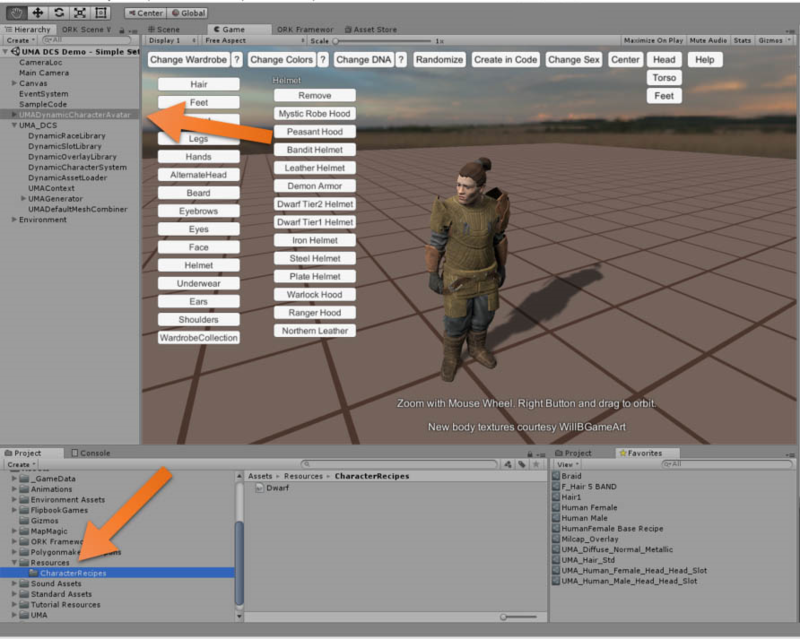 Drag the UMADynamicCharacterAvatar into your project to create a prefab, and name it. While in edit mode, drag the new dwarf prefab into the scene in several places, positioning and rotating as needed, and press play. See your new dwarf everywhere you placed him.